Tillers in the rental industry must be able to withstand heavy use, rough handling and transportation bruises and still rent tomorrow. These beefy tillers combine ease of operation and maintenance to make a tiller worthy of the Maxim name. The Maxim front tine tillers and the hydrotill feature heavy gauge heat treated tines, an extra heavy-duty frame with lift bar, and a ruggedly built transmission. The simple, yet sturdy, design that makes Maxim tillers low maintence makes them easy to use. 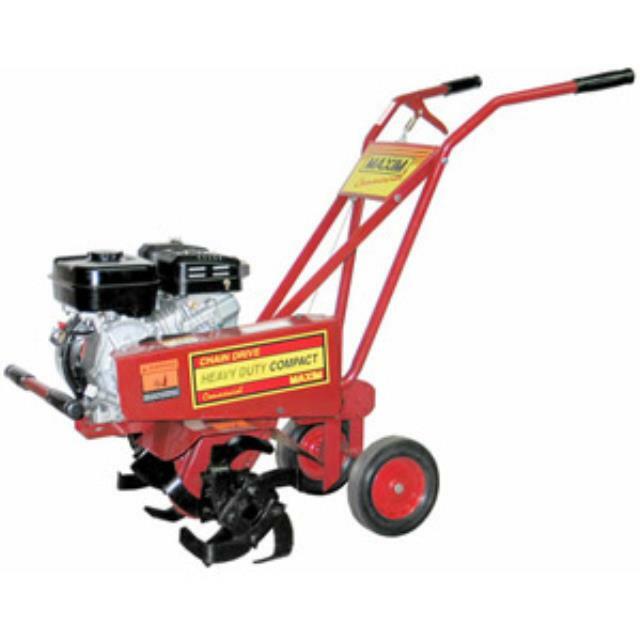 * Please call us with any questions about our hd mid tine tiller in Hammond LA.